Photo by Marion Post Wolcott. November 1939. 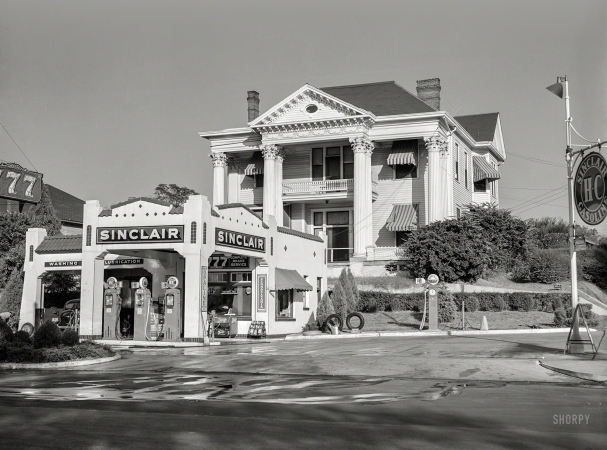 "Gas station in front of old colonial house. Jackson, Mississippi Delta." The Sinclair 777 Service Station.